In this blog you cand find all you need to study maths with success. Enter in the magical world of maths! The volume of a cylinder its the space that the cylinder occupies. To help you study maths, here you'll learn how to find volume of a cylinder. To find volume of a cylinder, you have to know the radius of the base (circle) and the height of the cylinder. 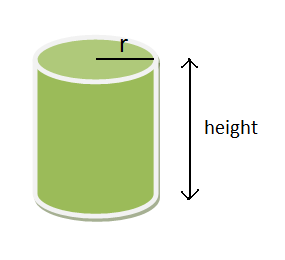 The volume of a cylinder is the product of the base area with the height of the cylinder. Hope that this was helpfull to you learn how to find volume of a cylinder and to you study maths.